Home › Construction Spanish › Spanish by Pitbull :: No pare el proyecto. Don’t stop the project. Is there more crap on the radio these days? There seems to be an unending litany of pop music that burrows in my cerebral cortex and offers little redeeming value in exchange for the precious real estate. Katy Perry & “Roar”… I’m talking to you. “Summertime Sadness” by King’s Cash (aka Lana del Rey)… you too. He shares his academical wisdom. Sure, all his tunes seem simple… rather formulaic. Repeat until 3 minutes is up. 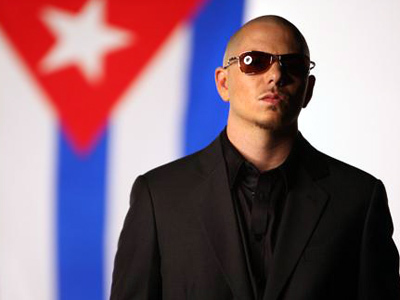 But Pitbull can help you manage a better jobsite with his incessant rambling. If you’ve heard the song, you already know what this means: Don’t stop the party. To make this phrase jobsite-ready, let’s drop the Qué in front and lose the la fiesta. Qué doesn’t do much for us in this instance and you know fiesta means party. Pare comes from the verb parar: to stop. Since PB is demanding we avoid halting his shindig, it’s pare. Well, you have lots of things you don’t want your workers to stop. So practice the following phrases and shout them out as you manage by wandering around today. Proyecto (proh-YAYK-toh) is a Spanish Twin, darn close in both languages. Stopping the project is generally bad. Encourage everyone not to with this phrase. Hour in Spanish is Hora, the root form of horario (oh-RAHR-ree-oh). Keep in mind H’s in Spanish are silent. If you’ve been pronouncing Hola (HOH-lah), admit this to no one. Ever. We’re going activity-specific here. If you’ve read the term “tablaroca” (literally sheetrock) somewhere, like a textbook or USG’s website – don’t repeat it. Go with hojas (OH-hahs) which means “sheets.” As in sheets… of drywall. Or cemento (say-MAYN-toh) – both Spanish Twins will do. If a worker tries to change the radio dial when any Pitbullery comes on, break this out. Lo means it. Drop the no in front and tack on locura (loh-KOOH-rah), the noun form of a Spanish word you know also – loco, crazy. If you witness madness on your jobsite, it’s your responsibilidad to stop it. 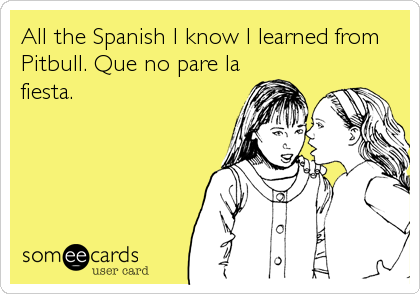 Because you’re bossing people around here, add on a porfa (please) and gracias to the end of these phrases. And as for the next annoyingly unforgettable song, watch out for Timber by Pitbull and Ke$ha. Unfortunately there’s a no Spanish nugget to mine here. ‹ 8 super-fast ways to insult Hispanic workers.